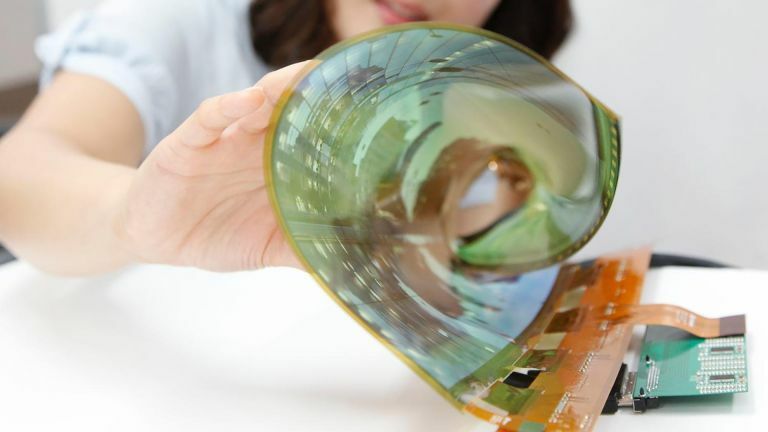 LG is rumoured to release a phone later this year that folds-out into a tablet. Now a patent has leaked showing exactly that design. Both LG and Samsung are expected to unveil foldable phone-tablet hybrids towards the end of this year. Although these rumours have suggested that LG may be selling its tech to other companies for release on their handsets. The latest leak comes via GSMInfo which found the LG patent showing off a phone with a wrap-around screen. This allows the phone to fold out into a tablet but clamp shut as a phone with the screen on the outer edge meaning it’ll appear on the front and back. The folded phone has a 5.5-inch display which folds out into a 7-inch tablet. The unique design means the screen is one seamless piece - so there won’t be a line down the middle as some concepts have shown for Samsung’s fold-out phone-tablet hybrid. When closed in phone mode the screen pulls to one side to reveal the camera and sensors but when open the display covers these for a full screen finish. LG and Samsung are rumoured to produce 100,000 foldable phones each towards the end of this year. When we’ll actually see them available is another matter.